Coming this year I will be a real bearded Santa with Mrs.Claus available as well as elves. This Santa has been told on many occasions the miracle of Christmas was brought into there home. 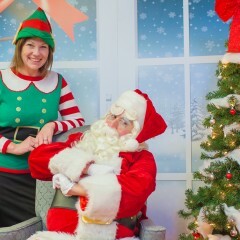 We provide you with a fun loving Santa and elf or 2 if needed. The elves along with Santa can do Christmas balloon twisting and Christmas glitter tattoos as well. 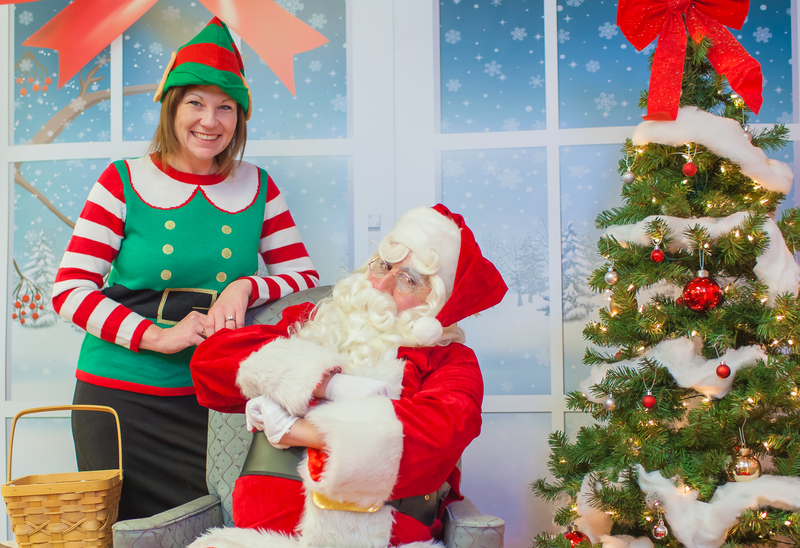 One elf specializes in turning your children into Rudolph or Mrs Santa or the Mr himself. We can also do pictures on the spot and location. We provide with clean background checked entertainment. Backdrops for photos are also available when needed. I am available Christmas Eve and Christmas Day at reasonable prices. 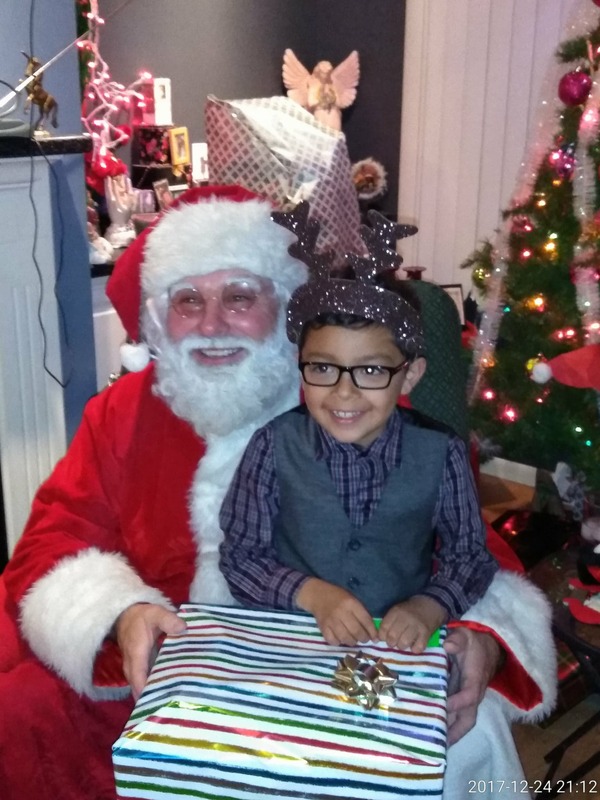 Santa did a great job interacting with the kiddos and went out of his way to make even the crying and withdrawn littles feel comfortable. 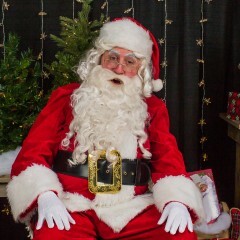 I received a ton of compliments on his demeanor with the kids! I look forward to working with him again next year!! Thank you very much. I had so much fun with the kids. Merry Christmas!! He was wonderful with the children. 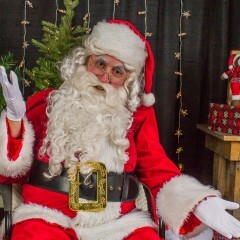 A few older children acknowledged he was a younger, not as plump Santa but all still had a very fun time. We would definitely recommend hiring from Milwaukee's Best Party Solutions (GigSalad). Reliability and fun entertainment for a good value. 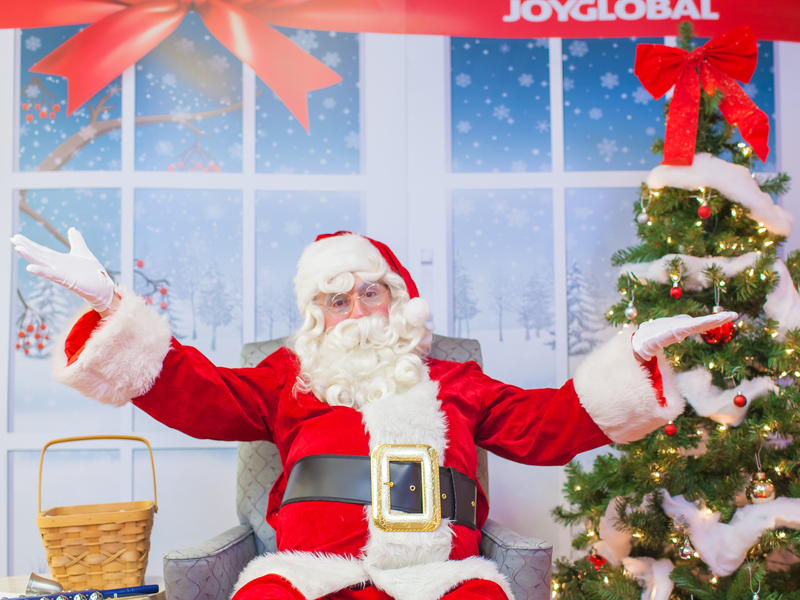 This is actually the second time we have worked with Santa Harry and he did a wonderful job bringing the magic and spirit of the season to our Breakfast with Santa. 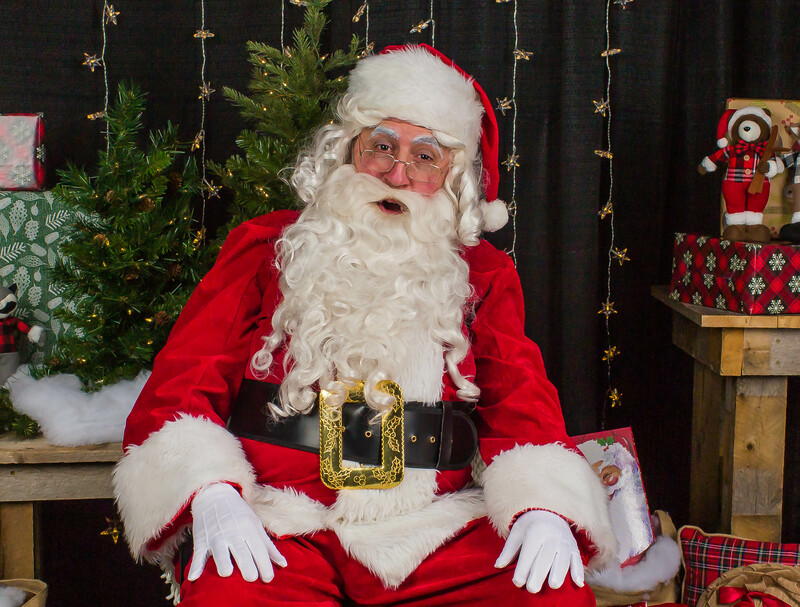 He was very interactive and thoughtful of the children, doing a great job having conversations about what is on their list and showing great patience along the way. He brought a liveliness to every photo and was very accommodating throughout the entire event. 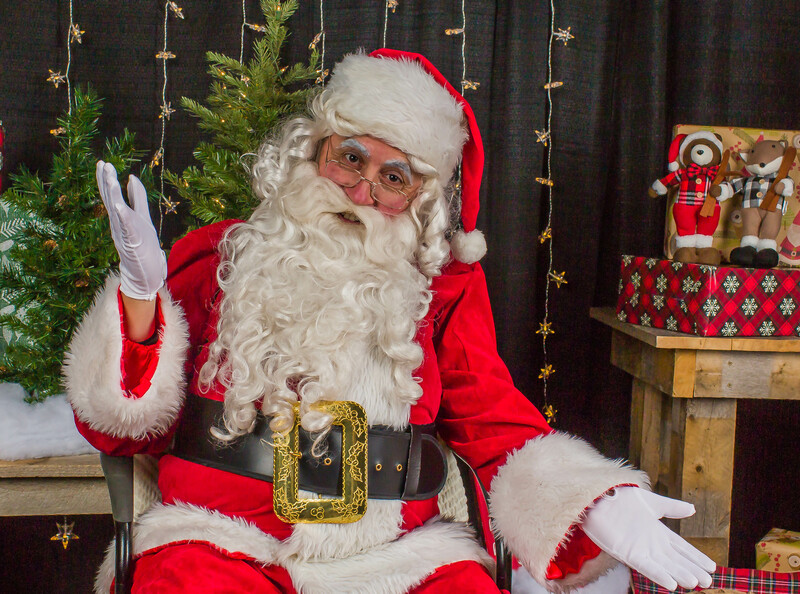 It was very easy to work with Santa Harry and we appreciated his thoughtfulness. Thank you have a very Merry Christmas. We got exactly what we ordered and exceeded our family expectations! 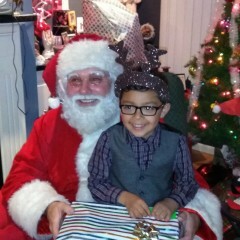 Our Santa was on time and well dressed and played the part perfect. Will book again! Santa was very entertaining! The kids loved him and had a blast.. 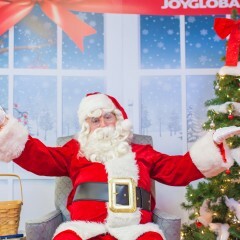 I loved how he went out of his way to spread his holiday joy, and made sure he got a picture with everyone at the party..
On short notice I needed a Santa for a company Breakfast with Santa event. Milwaukee's Best was able to provide me with a great Santa. The kids loved him and he did a great job making balloon animals in between photos. Thanks! Thank you Aimee for having us. Minnie Mouse, help celebrated our granddaughter's 2nd birthday. Minnie was fantastic/outstanding!!! Very patience with the birthday girl who was timid at first but she warmed up quickly because of Minnie. My granddaughter had the time of her life! She was telling everyone that Minnie visited. Would highly recommend this company. With Milwaukee's Best Party Solutions LLC , you should expect just that, the best party in Milwaukee. From the time you call us, to the very end of your party we'll treat you the same way you'd treat you. Our staff is available to answer any and all questions you may have at anytime during your experience with us and is here to help you. We will work with you to ensure you have a party you will never forget. With Milwaukee's Best Party Solutions LLC you should expect, great customer service (all of our employees have cell phones dedicated for work and are available virtually anytime to answer any of your questions), TONS of fun at the event (ALL of our employees love what they do and are just as excited to be at your party as you are to have us at your party), and unforgettable memories (After having us at your party, you, your children and your guests will be left with a memory that will last a life time). Milwaukee's Best Party Solutions LLC was founded with the goal of providing fun filled parties with memories that will last a life time. 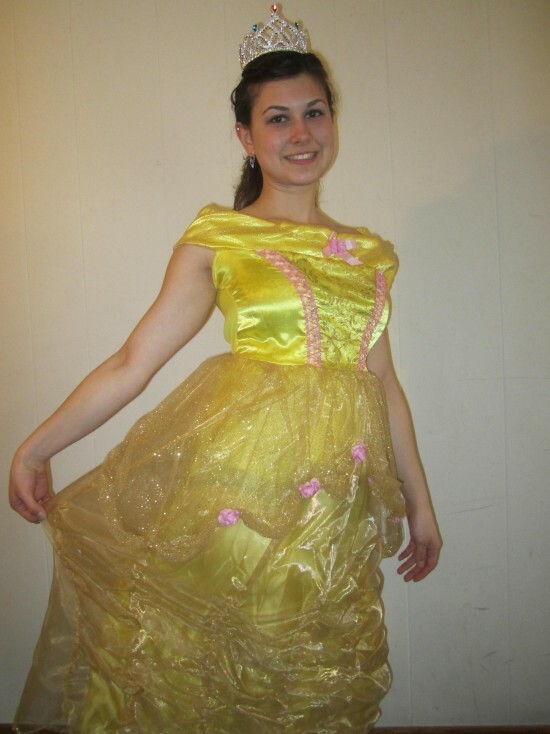 We started our business with a very limited amount of costumes and only did costume characters. Over the years we have expanded our company and add many more services. We currently have 35 costumes and are adding more daily. 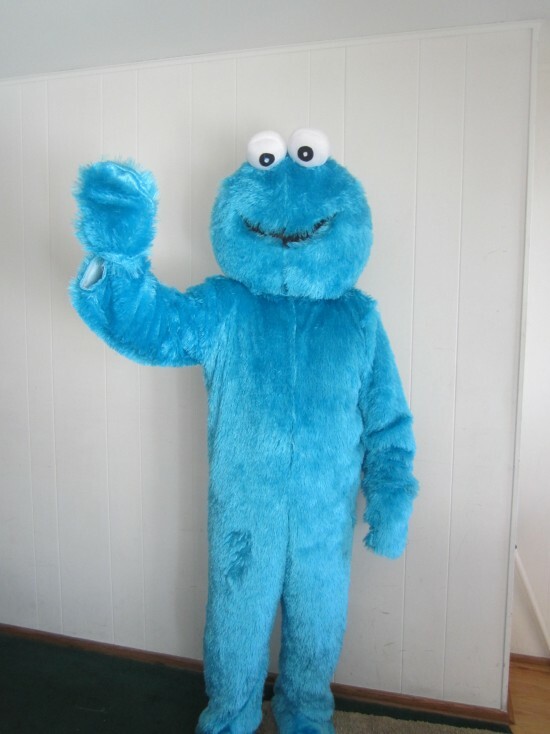 We not only do costume characters but now provide face painting, balloon twisting, photography and much more. Our company has grown though the years but has kept the same goals. Our company has had hundreds of very satisfied customers and we pride ourselves on having the best customer service in town. We continue to put our customers first and continue to be very open minded tailor making each party to fit each individuals needs and budget. Don't hesitate to give us a call with any and all questions you may have. We are here for you! Milwaukee's Best Party Solutions LLC was started with the goal and the vision of being part of parties that will never be forgotten. All of our employees are real humans with an understand of the world we live in. If at any point you need to change something about your event we will do everything we can to help. We are very open and flexible, if you need something special or one of a kind done for your party please don't hesitate to ask. We will do everything we can to make your wishes come true! Mickey, Minnie, Sponge Bob, Woody, Spider man, Batman, Robin, Princess, Cat in the Hat, Dora and Boots, Cookie Monster, Elmo. 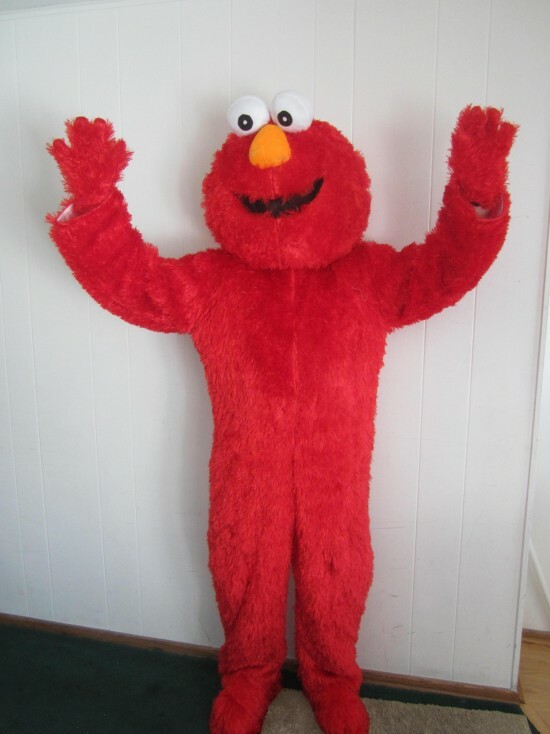 I can also get the costume if you need a special one. I also have a great magician who did shows at the White House. 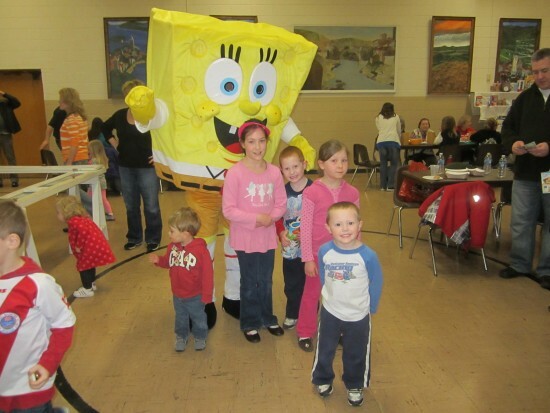 Milwaukee's Best Party Solutions LLC was started by a loving father and family man who's goal was to bring to life children's fantasy of partying with some of there favorite characters from TV , Movies and Books. Over the years our company has expanded and continues to expand with like minded individuals who have added to our company and to our parties. 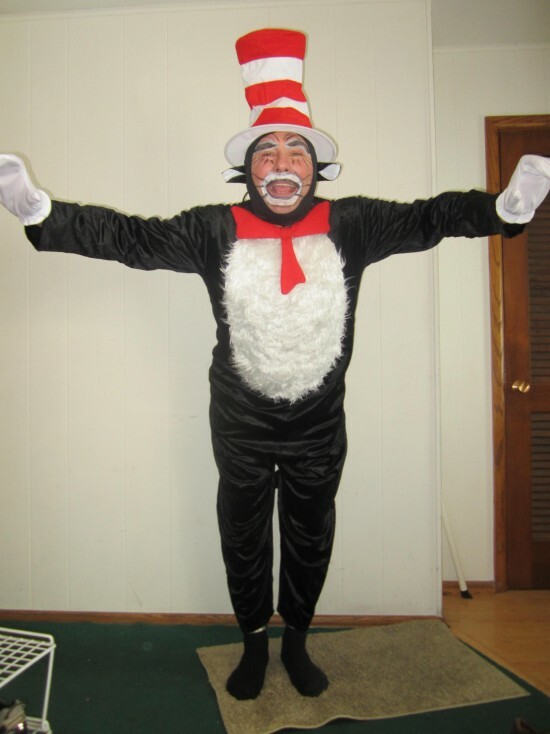 We have grown to offer costume characters, balloon twisting, face painting, magic shows, photography and much more! Our goal is to bring a smile to as many children's faces as we can!